Ms. Crystal Williams runs a fast paced science lab for her fifth grade students at Hartsfield Elementary School. Her students are studying our solar system. The students are taking part in hands-on learning through stations such as virtual reality, Bee Bots and makerspace for an upcoming segment on KPRC-TV’s Houston Life. 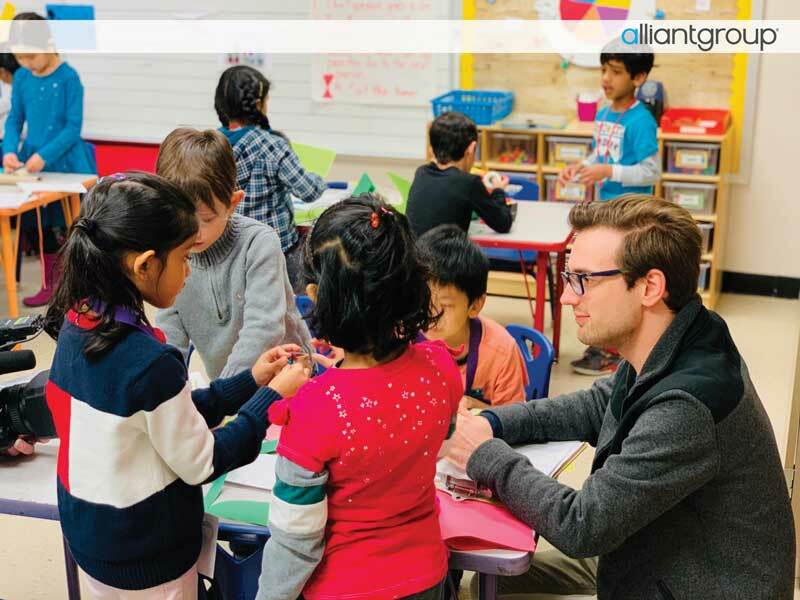 Ms. Williams is one of six Houston Independent School District (HISD) teachers nominated for the alliantgroup HISD Elementary Science Teacher Award. The award was created to reward local teachers who, through innovative lesson plans that emphasize both the importance and fun aspects of science, are increasing student achievement and engagement. Each finalist will receive a cash award of $1,250, as well as an additional $500 for their classroom. One grand prize winner will be chosen and will receive a personal cash prize of $3,500, as well as $500 to put toward improving their classroom. The teachers will all be profiled on KPRC-TV’s Houston Life in April. All six teacher finalists will be honored and the grand prize winner will be named at a luncheon at alliantgroup headquarters in Houston on April 23, 2019.